Updated 11-15-2018 --- There was an issue that likely caused many players to not be able to run v7 from yesterday's download, this has been corrected and the upload patched today. Version 7 is now updated to work with the 1.47.49 (November 13, 2018) game patch. As long as between the scan or set the mother does not eat the foods or listen to the music types below, everything should stay accurate. However, until we can get extracts of the game XML, it is not clear if the statistic used to track the food and music may "decay" or drift back to zero, like relationships. If this occurs, then it is possible that things can still change even if those foods/music are avoided after the scan IF they were not avoided prior to it. Basically, it makes a mess of things, and only time will tell. I can create an add-on that will alter the pregnancy function to work as it used to if it bothers enough people that things are no longer strictly deterministic. Strawberries and Pop music (one, the other, or both) seem to lead to more baby girls. Carrots and Alternative music seem to lead to more baby boys. 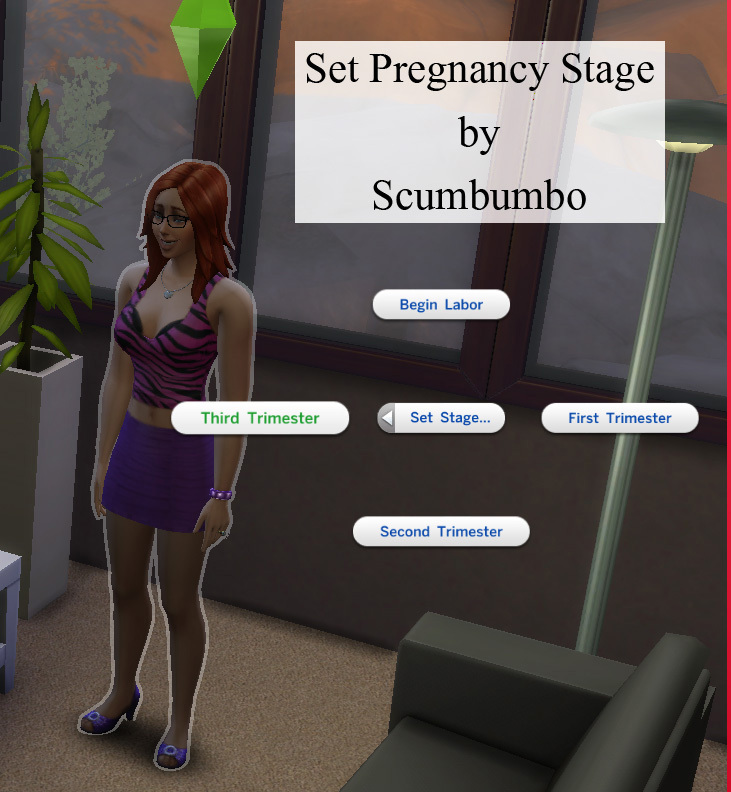 The Pregnancy Mega Mod is a team effort - a combination of existing and new mods written by java7nerd and Scumbumbo repackaged and designed to be mega easy to use. 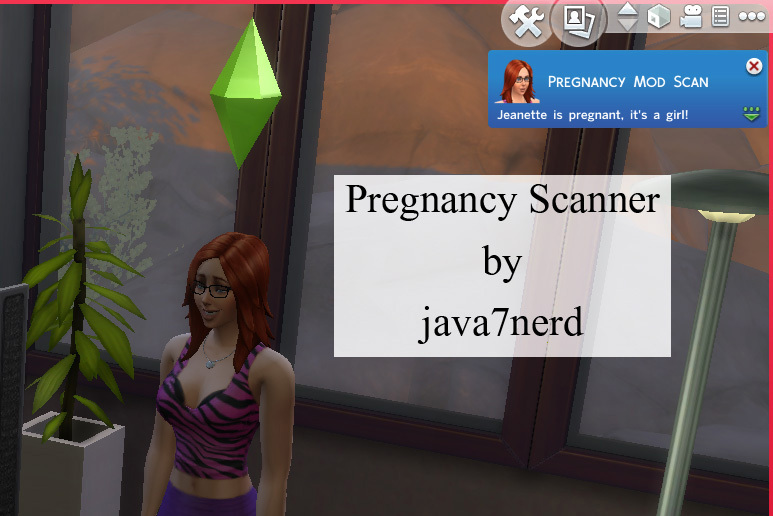 It includes java7nerd's Pregnancy Scan and Reseed, plus Scumbumbo's Pregnancy Terminator, PLUS a new feature to allow setting what stage a sim's pregnancy is in or even immediately beginning labor. 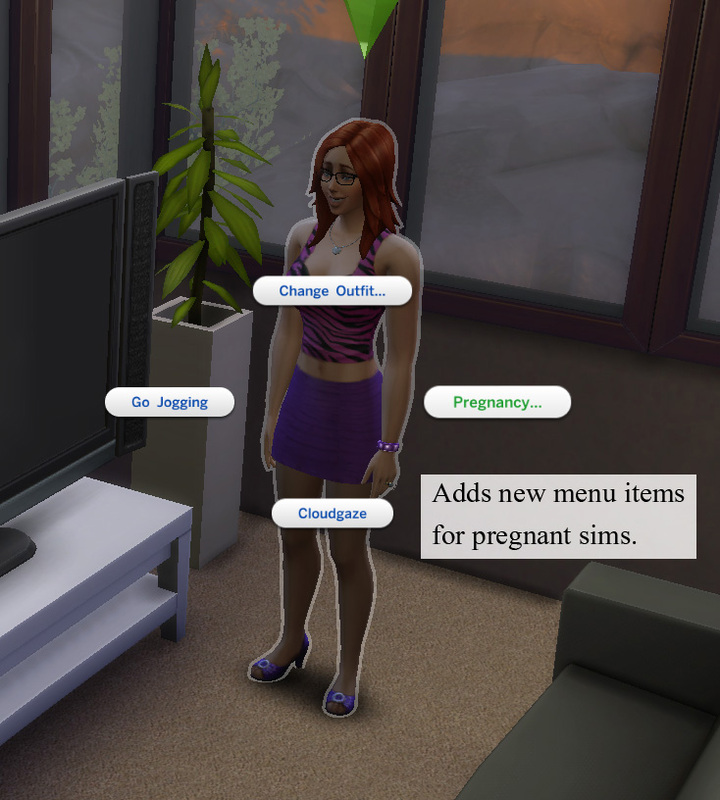 The new Pregnancy pie-menu items will only show up when clicking on any pregnant sim. The menu is available for teens through elder targets. The screenshots above show the majority of menu items which are available and how easy it will be to access the features of the combined mods. 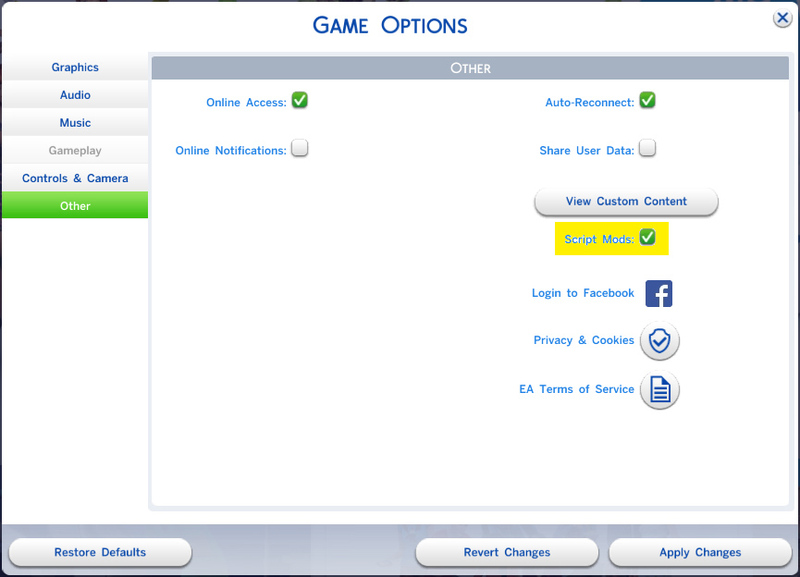 If you can play The Sims 4, you can use this mod! Update: Version 3 adds translations for Chinese, Russian, and Brazilian Portuguese. If you do not need the additional languages there is no need to update. Note that translations affect only the pie-menus and will not change the notifications generated by the script. 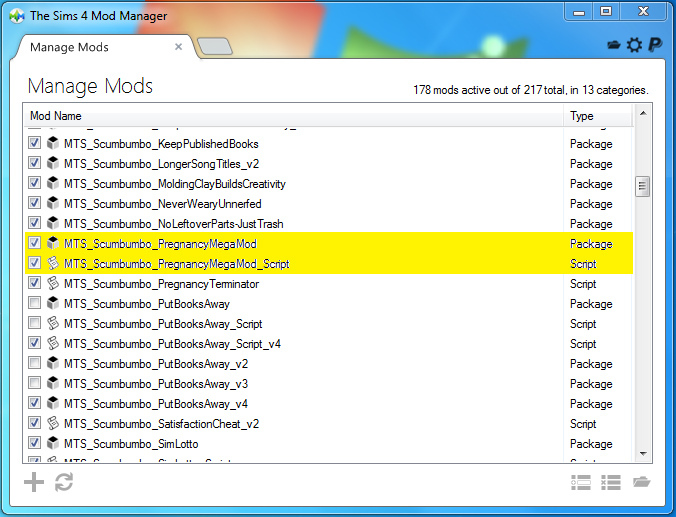 Note that the original Pregnancy Scan and Reseed and Pregnancy Terminator mods are not required for this mod, they are built in. If you want to keep the old mods, they will not conflict with this mod. For easiest installation, I strongly urge using The Sims 4 Mod Manager by Raxdiam for a fully automatic install, or you can install manually. Since this mod contains both a script mod and XML package file, manual installation is only suggested if you are familiar with this kind of mod. See further below for manual mod installation notes. This mod was written and tested on Windows for The Sims 4 version 1.47.49 (November 13, 2018). No XML files were changed for this mod, everything in the package is new and the script injects the new XML into the sim objects. 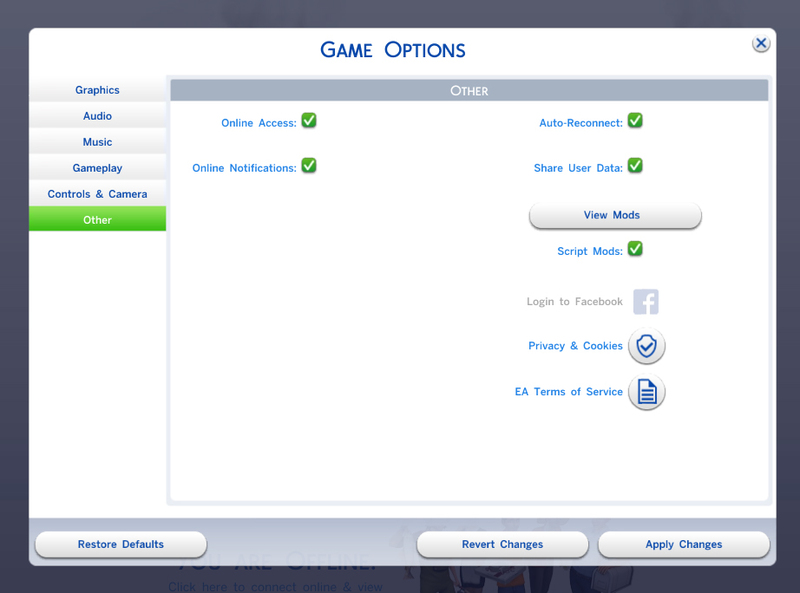 As such it should not conflict with any other mod, even ones that modify sim's pie menus. Choosing triplets with specific genders may result in a noticeable delay in generating the offspring. The mod will make up to 20,000 attempts to generate the requested offspring before giving up. This will probably never happen unless the household is too full to create the requested number of offspring. A notification of the failure will appear and the pregnancy will remain unaltered. 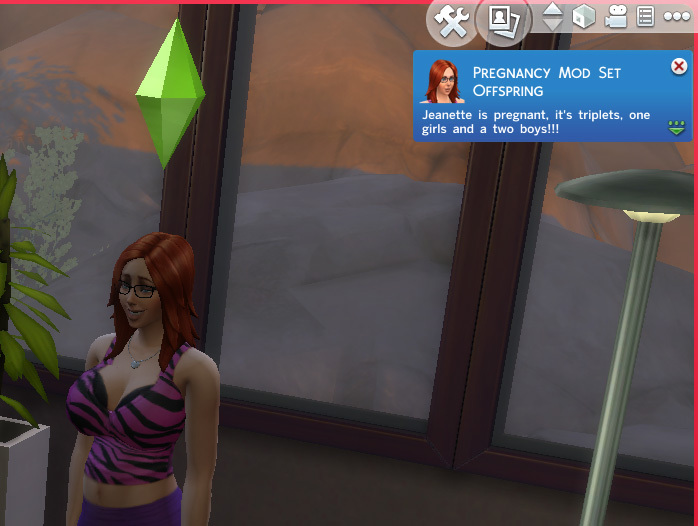 If the population of the pregnant sim's household changes between the time of the scan and the resulting labor, more or fewer offspring may result. There are two images in the screenshots above which indicate the files required in the Mods folder and how to enable script mods. 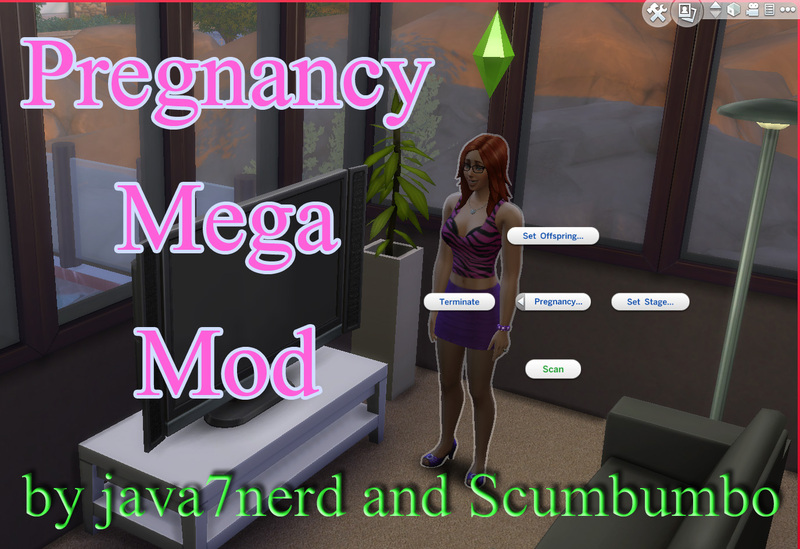 PregnancyMegaMod.zip | Description: Pregnancy Mega Mod by java7nerd and Scumbumbo.